At the inaugural TechXLR8 awards vehicle technology specialist Tantalum was recognised, taking the prize for the ‘Innovation in Connected Services’ category. The awards recognise and celebrate excellence in innovation and disruptive technologies, with industry specialists acting as the judging panel. Tantalum is a fast-growing technology innovator connecting consumers and businesses with vehicle related services providing convenience, safety, and security while saving time, money and the environment. With 1 million vehicles connected to its systems, Tantalum supports a wide variety of companies including Samsung, TomTom, TNT and Atos. Tantalum’s award was achieved through a combination of the excellence of its product offering (notably the Air.Car and Pay.Car platforms). Tantalum’s innovative Air.Car platform is a £2mn Innovate UK (Government’s innovation agency) and the Centre for Connected and Autonomous Vehicles funded project with Imperial College London. 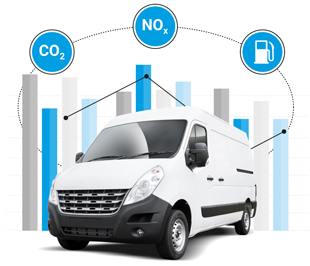 It is honing real time NOx emissions estimation capabilities, which will give big business, government and local authorities the ability to drive down poisonous emissions. By implementing dynamic road charging based on actual vehicle emissions in a smarter, cheaper and fairer way, drivers will only pay as they pollute. When, where and how drivers drive can now be recognised by Air.Car. A major part of this project is a 1,000 vehicle trial starting in Autumn 2017 to hone the solution with scientists from the world-renowned Imperial College in London. The company claims that Pay.Car is the world’s first dedicated end-to-end billing, payment and data management platform for connected vehicles. It provides a robust, secure and scalable transaction platform to drive growth, adoption and monetisation of the ‘Connected Car'. It offers the ability to store financial details securely, allowing the user to receive only one invoice encompassing all activity. It has the bandwidth to both control privacy and secure data via the collection of billions of data points from its customers (B2B and B2C), further enriched by deep analytics. Put simply, it lets the car find and pay for its own parking, for example. Ozgur Tohumcu, CEO at Tantalum, commented: “We are delighted to have been recognised by the TechXLR8 awards in what is a very exciting time for the ‘Connected Car’ space and vehicle technology market as a whole. As a company, we feel our extensive product offering - with Air.Car and Pay.Car at the forefront - positions us well for continued growth. These are new additions to our already strong portfolio of vehicle-related services. Tantalum’s open platform provides services to consumers and businesses such as vehicle diagnostics, parking, automated insurance, roadside recovery, and accident management. Our approach to services co-creation allows us to grow with our partners. Air.Car and Pay.Car are just two new additions to our wide services portfolio as we continue to build the most innovative open marketplace for the aggregation and monetisation of vehicle-related services.